Another day – another quick hit. Via our friends over at Cold Fury and the Doug Ross comes a comment by Mary Frances Berry who previously served as the head of the US Civil Rights Commission. We remember Berry as the head of the commission that looked into the 2000 presidential election and whose staff leaked reports and documents that were later removed from the final report for lack of support. As part of a blog on Politico.com, participants were asked to comment on the “racist” allegations made against the Tea Party and its members. Berry’s position is clear. It is acceptable to brand a label opponents as “racists” when there is none. It is acceptable to play the “race card” when there is no bigotry. That alone should speak volumes about the Berry herself and the party of which she is a member. CNN is reporting on a press credential badge issued by the White House for reporters who are traveling with the president as he makes stops in Washington state, California, and Colorado. 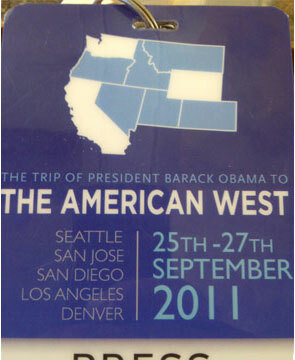 The three states the president will visit are highlighted in white on the badge. Only one problem: Wyoming, not Colorado, is highlighted. To be fair, both states are rectangular, nearly identical in size, and stacked next to each other. But we doubt our third grade teachers would buy that! If this were the Bush White House, the press and left would be all over this as an example of how “stupid Bush is.” As it is the Obama White House, there isn’t much commentary other than to laugh it off. Wonder how the people of Colorado think knowing the White House can’t identify their state? Or maybe it is one of those 57 states candidate Obama visited? Jun 21, 2011 Posted by AAfterwit on Jun 21, 2011 | Comments Off on Democrats – Protecting Unnecessary Racist Laws. Democrats – Protecting Unnecessary Racist Laws. We would hope that every conservative reading this blog would agree that “Jim Crow laws” were an affront to what this country was founded upon, the result of the Civil War, and the 14th Amendment. Republicans, starting before the Civil War have long fought against racial inequities. 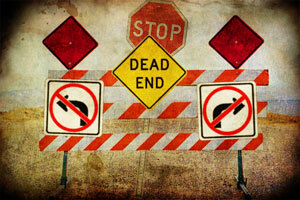 In a practical sense, Federal law has made the Jim Crow laws moot. We no longer allow “white only” water fountains, or “blacks on” bathrooms. State sponsored and state mandated segregation needed to be ended and wiped from the law books of the land. That sentiment was what drove Republicans in the Alabama Senate to propose legislation stripping Jim Crow laws from the Alabama Constitution. Even though the laws were no longer enforceable, they were still on the books. We here at Raised on Hoecakes wish to acknowledge the men of Bethune-Cookman University and the women of the University of Texas-Pan American for winning this years PGA Minority Collegiate Golf Championship held this past weekend at the PGA Golf Club in Port St. Lucie, Florida. 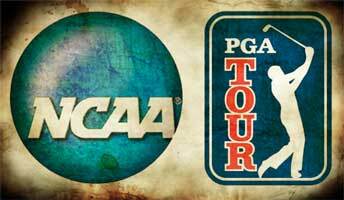 The NCAA and the PGA have combined to promote, recognize and help sponsor this event since 1986. This was the 25th year of the event. The NCAA believes in the values of diversity and inclusion. Although it has made progress in increasing the diversity of the membership and generating opportunities within intercollegiate athletics for individuals of all backgrounds, the Association’s leadership recognizes there is more work to be done. The diversity and inclusion staff at the national office aims to centralize efforts concerning diversity and inclusion, serve as a point of contact for related concerns and assist the membership in developing initiatives that will lead to increased diversity and inclusion throughout intercollegiate athletics. The PGA exercises sound practices to ensure that all individuals receive fair treatment in their desire to become affiliated with the Association and the business of golf. We encourage diversity as it leads to new opportunities to help fulfill the mission of The PGA of America. So if both the PGA and the NCAA are committed to “diversity and inclusion,” why are they sponsoring a golf tournament that is not all-inclusive? Why are they sponsoring a tournament that only allows minorities to enter?